What is this feedback mainly about? When did you receive this feedback? What do you do at Ananda? Describe what the feedback is using facts. Use speech marks/inverted commas if using the exact words used. 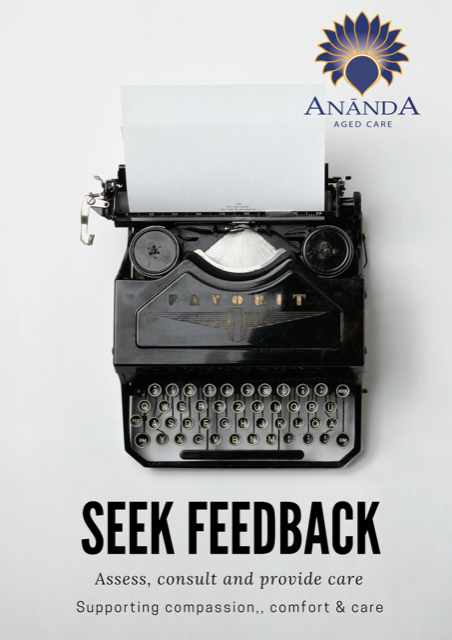 Describe what actions you or others took in response to the feedback if relevant. Upload small files or photos if relevant. ONLY Ananda devices may be used and use of personal cameras may contravene Ananda policies.